60163 Tornado is a main line coal-fired steam locomotive built in Darlington, County Durham, England. Completed in 2008, Tornado was the first such locomotive built in the United Kingdom since Evening Star, the last steam locomotive built by British Railways in 1960. It is the only example of an LNER Peppercorn Class A1 locomotive in existence, the entirety of the original production batch having been scrapped without preservation. The locomotive's namesake is the Panavia Tornado, a combat aircraft flown by the Royal Air Force. In April 2017, Tornado became the first steam locomotive to officially reach 100 mph in over 50 years on British tracks. Operational. Approved for running on Network Rail track. Construction of Tornado began in 1994, and was at Darlington Works for most of the project, while numerous components such as the boiler were manufactured elsewhere. The project was financed through fundraising initiatives such as public donations and sponsorship deals; further funding came from hiring out Tornado itself for special rail services. Construction was completed in 2008, and full certification of the locomotive was achieved in January 2009. Having been designed with compliance to modern safety and certification standards, Tornado has been conducting passenger services on the UK rail network and on mainline-connected heritage railways since 2008. The locomotive was built by the A1 Steam Locomotive Trust, a charitable trust founded in 1990 to build Tornado and possibly further locomotives. Tornado was conceived as an evolution of the LNER Peppercorn Class A1, incorporating improvements that would have been likely had steam continued, and changes for cost, safety, manufacturing and operational benefits, while replicating the original design's sound and appearance. Tornado, completely new-built, is considered the 50th Peppercorn A1, numbered next in the class after 60162, Saint Johnstoun, built in 1949. The 49 original Peppercorn A1s were built in Doncaster and Darlington for the London and North Eastern Railway (LNER). Tornado was built in the trust's Darlington works. The original 49 locomotives were scrapped by 1966 after an average service of 15 years. None survived into preservation, and Tornado fills a gap in the classes of restored steam locomotives that used to operate on the East Coast Main Line. Tornado moved under her own power for the first time on 29 July 2008 at Darlington, and then spent two months at the preserved Great Central Railway double-track tourist railway in Loughborough, where she was tested up to 60 mph (97 km/h) and operated her first passenger train. Tornado then moved to the National Railway Museum (NRM) in York for three test runs on the main line up to 75 mph (121 km/h). After repainting from works grey into LNER Apple Green, Tornado was approved for mainline passenger operation. On 31 January 2009 she hauled her first passenger trip on the main line, The Peppercorn Pioneer, from York to Newcastle and back. By hauling various A1 Trust railtours, charters and other activities, Tornado will begin to recoup the estimated £800,000 debt from the project, which cost around £3 million. With a shorter rake of eleven coaches compared with the original Peppercorn A1's usage, Tornado is expected to achieve contemporary main line speeds. Theoretically capable of 100 miles per hour (160 km/h), Tornado may in the future gain permission to run at 90 miles per hour (140 km/h), making her the fastest steam locomotive on the British main line. Tornado is expected to see main line use until its ten-year fire-tube boiler re-certification in late 2018. On 21 June 2009, Tornado featured in the Top Gear Race to the North, coming second to a car in a three-way race from London to Edinburgh, against a 1949 Jaguar XK120 sports car and a 1949 Vincent Black Shadow motorbike. The original Peppercorn A1 series was ordered by the LNER, but the 49 locomotives were built at Doncaster and Darlington for British Railways (BR) in 1948–49, after the nationalisation of the railways in the United Kingdom. Following the modernisation and dieselisation plans of the 1950s, the A1 Peppercorn class was eventually scrapped at a comparatively early age of just 14 years. Other famous East Coast Main Line steam locomotives have been preserved, for example six Gresley LNER Class A4s, one LNER Class A3, 4472 Flying Scotsman, and one LNER A2 60532 Blue Peter but all 49 LNER Peppercorn Class A1 locomotives were scrapped. The last was 60145 St Mungo, which survived until September 1966. An effort was made to preserve 60145, but it failed due to a lack of funds. The Peppercorn A1s were designed to cope with the heaviest regular post-war East Coast trains. These were frequently 15 coaches or 550 long tons (560 t). The locomotives were capable of 60–70 mph (95–110 km/h) on level track. Tornado will be able to haul 10–11 coach trains at higher speeds, to fit modern faster main lines. The A1 Trust intended Tornado to be built from scratch, designed and built as the next locomotive in the A1 Peppercorn class, not as a replica or restoration project, but an evolution of the class incorporating design improvements that would have occurred had steam motive power continued on the mainline railway. Running number and plaque, "No. 2195 Darlington 2008"
The name Tornado was chosen in honour of the Royal Air Force Tornado air crews flying at the time in the Gulf War. The honour of choosing the name was given to a £50,000 sponsor of the project. In 1995, officers of the Royal Air Force presented the Tornado nameplates to the trust at Tyseley Locomotive Works at the frame laying ceremony in January. Tornado is numbered 60163, as the 50th Peppercorn A1. Tornado's smokebox door also carries the identification plate "51 A", the code for Darlington shed. The cab side carries the builder's plate "No. 2195 Darlington 2008". The front buffer beam carries the designation "A1", applied in the paint detailing phase for launch in apple green. On 7 August 2008, Tornado was entered onto the Total Operations Processing System (TOPS). Although the painted number is 60163, on the British mainline Tornado is designated 98863 in TOPS, where 98 describes a steam engine, the 8 stems from the power classification of 8P, and 63 comes from her 60163 number. Tornado was in grey undercoat until final testing was completed, as a precaution against the need to remove the boiler cladding. The livery was described as "works grey" in a "satin finish". While in this undercoat, Tornado wore the web address of the A1 Trust on the side of the tender, and the mark RA9 (denoting route availability) on the locomotive cab. On her third main line test run to Newcastle, the web address was replaced with the National Express logo. The first full livery is LNER-style express passenger apple green, with "British Railways" on the tender, as worn by the original locomotives in 1948. The first 30 Peppercorn A1s delivered wore this colour. This was applied by the NRM paint shop after completion of mainline trials at the NRM in York. Painting was behind closed doors, with the finished article unveiled (without nameplates) on 13 December 2008, in front of 500 supporters of the A1 Trust. The green livery was applied in the traditional way, brush painted by hand. Tornado was unveiled on the turntable with the NRM North Eastern Railway (NER) dynamometer car. 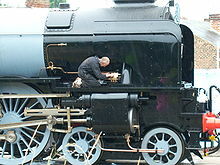 Due to time constraints, detailing had been completed only on one side of the locomotive at the launch, and Tornado re-entered the paintshop after the launch before going back on display. Prior to Tornado, LNER Thompson Class B1 1306 Mayflower and LNER Class D49 46 Morayshire were the only two operational steam locomotives in Britain wearing LNER green. LNER Class V2 4771 Green Arrow was withdrawn from mainline operations on 26 April 2008. LNER green was also the last livery worn by LNER Class A3 4472 Flying Scotsman prior to withdrawal in December 2005. Over the life of her first ten-year boiler certificate, it is expected Tornado will also wear BR blue, BR Brunswick green (pre-1957) and Brunswick green post-1957. Although the name Tornado was chosen and nameplates manufactured long before the locomotive was completed, during commissioning and test running the nameplates were not attached. By railway convention, the locomotive is officially known by her number until the name plates are affixed. Tornado was named by HRH The Prince of Wales, accompanied by the Duchess of Cornwall and Dorothy Mather (widow of designer Arthur Peppercorn), at York railway station on 19 February 2009. The ceremony is marked by a plaque located below the nameplate. Tornado then pulled the Royal Train to Leeds. In late 2010/early 2011 while undergoing winter maintenance at the National Railway Museum, Tornado was repainted into her second full livery, British Railways Brunswick green with the earlier BR crest. This livery was applied to the A1 class in the 1950s and is a darker green colour than apple green, similar to the liveries carried by Great Western Railway engines. The early BR crest was replaced by a later crest on Br locomotives during the late 1950s. In late 2011/early 2012, again whilst undergoing maintenance, this time at the Mid Hants Railway, Tornado had its Brunswick green livery retouched (following a slight visible scrape on its tender). At this point it was decided that the early crest should be replaced by the later crest which the A1s carried from the late 1950s until the withdrawal of the last class members in 1966 meaning that Tornado has carried 3 of the 4 original liveries carried by the earlier batches of A1s. In September 2012 at the A1 Trust's annual convention for the loco's contributors at the Nene Valley Railway it was announced that in November 2012 Tornado would be repainted into British Railways express passenger blue livery. This was the second livery carried by the A1s after entering service. The colour was based on Caledonian blue, the livery of the Caledonian Railway, and was only applied to Express locomotives such as the A1s for a few years before repainting into Brunswick green. This will mean Tornado will have carried all 4 liveries that were carried during the life of some of the earlier A1 locomotives. Tornado was repainted at Southall into BR express passenger blue; this was unveiled at Didcot on 24 November 2012. Other preserved locomotives painted in this livery include 4498 Sir Nigel Gresley and 6023 King Edward II. In October 2014, Tornado was taken out of service for an intermediate overhaul and went back to operational wearing its original LNER-style express passenger apple green livery once again in June 2015. 1999 (1999): Smokebox door complete, Tornado's symbolic "face"
On hearing of the project in October 1991, the Argentine locomotive engineer Livio Dante Porta contacted the trust, hailing the project as the start of a "renaissance of steam technology". In 1992, he submitted A proposal for the Tornado project. 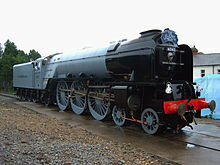 In it, he proposed to the trust several design improvements that could be made to Tornado that, while preserving the outer form, would make Tornado a second-generation steam locomotive. Since the trust was not creating a replica of a Peppercorn A1, but the next in class, the proposals were duly considered. The trust decided it could adopt only some of the proposals, and the improved Tornado remains strictly a first-generation locomotive. The trust felt there were too many risks in adopting all of the untried proposals, and in Porta's own words, it would have taken 20,000 test miles to iron out his improvements, something the trust probably could not finance. The expense of testing the heavily modified preserved Duke of Gloucester was also cited as a factor. Ironically, in 2003, it was decided to make Tornado oil-fired, for cost and operational reasons, following earlier dual-fuelled coal-and-oil-fired proposals in 1998, when boiler design commenced. This was later abandoned in favour of the original design of coal firing, due to the large increase in global fuel prices, and to save the certification costs of this design difference. Rough engineering dimensions for Tornado were obtained from measuring Blue Peter at the National Railway Museum (NRM). Due to there being no general arrangement drawing of a Peppercorn A1, one from an A2 was used. Many of the drawings originally used at Doncaster Works for the A1 Peppercorn class had been preserved at the NRM, and a team of volunteers spent three days collating these in the autumn of 1991. The original drawings were India ink drawings on linen; these had to be scanned into a Computer Aided Design (CAD) software program, as the microfilm NRM copies were not suitable for manufacturing purposes, and direct dyeline copies could not be made. About 95 percent of the original drawings were found, with 1,100 scanned by 1993, and a further 140 in 2001. A few poor-quality originals required re-drawing. Updated specifications were required to be drawn up to account for out of date material specifications and drawing notes whose original meaning could not be determined. Other design details were also obtained through interviews with Arthur Peppercorn's former assistant, J.F. Harrison. The design was modified where necessary to better suit modern manufacturing techniques, and to fit in with the modern high speed railway, while retaining the greater part of the original design. As an evolution of the Peppercorn A1 class, Tornado would also incorporate improvements that would have been made to the class had steam continued, such as correction of the rough riding faults of the original 49 Peppercorn A1s. Tornado has two whistles, a standard LNER "Teapot" whistle on the cab front and an ex-LNER Chime whistle from LNER A4 no. 4482 "Golden Eagle" located behind the right hand deflector. Train Protection & Warning System (TPWS). With advances in manufacturing, Tornado's 48-foot-6-inch (14.78 m) long steel plates were electronically cut from one piece of steel, as opposed to the original Peppercorn A1s, which had two-piece frames riveted together. These are probably the most accurate steam locomotive frames ever produced. Despite their higher costs, roller bearings were used owing to the reliability they had demonstrated after a trial on some of the original Peppercorn A1s. This caused an unforeseen problem in 2003 since the modifications made to the tender in the original fitting of roller bearings as an experiment to some Peppercorn A1s had not been properly drawn for the Cartazzi axle of the trailing wheels. The tender was redesigned internally, removing the water scoop, increasing the water capacity from 5,000 to 6,000 gallons, and reducing coal capacity from 9 to 7.5 tons. A 1-inch (25 mm) reduction in height from the original 13-foot-1-inch (3.99 m) height was required by the Network Rail OLE regulations, and was achieved by a redesign of the dome and safety valve mountings on the boiler, and by reprofiling of the cab roof and chimney. Testing was planned to occur with a lipped chimney, and on receipt of the first full livery, Tornado would be fitted with an authentic rimless chimney, described as the original non-capped version. The fluted chimney intended for apple green running was still not fitted at the time of the green livery launch on 13 December, due to it still being machined at the manufacturer. It was completed and fitted in time for the inaugural main line passenger run. The locomotive chimney would also be fitted with a spark arrestor. The locomotive number on the smokebox door may be moved higher up as was "once the norm" (requiring the moving of the lamp-bracket). Moving the number plate above the smokebox door hand-rail was confirmed as being intended at the time of Tornado's unveiling at the NRM. Tornado would also be fitted with a chime whistle from an A4 class locomotive. In 1991, a preference for a "Doncaster pattern" riveted tender was expressed, per the Doncaster-built Peppercorn A1s. The redundant tender of Flying Scotsman was acquired, although later returned unused, allowing Tornado to remain a completely originally manufactured locomotive. By 2002, it was agreed that a flush sided (all welded) boiler and tender was appropriate for a Darlington-built Peppercorn A1, making construction and maintenance easier. In 2003 the need for a second tender for Tornado was discounted. The tender features spoked wheels per at least three historical LNER Peppercorn A1s. Consideration of the boiler began in late 1998. No standard gauge boiler had been built in Britain since the 1960s for such a large express locomotive. It was required to be based on the original LNER Diagram 118 design, but had to meet modern safety standards. Design changes included the cheaper modern-day fabrication method of a welded, rather than riveted, firebox and boiler tube; the use of steel, rather than copper, for the firebox; and the aforementioned height reduction for OLE regulations. While manufacturing facilities still existed in Britain to manufacture such a large boiler, because of the design differences from the originals the trust required a supplier with specific experience of designing, building and certification of steam engine boilers to modern safety regulations, as required by the European Union's Pressure Equipment Directive. In early 2002, the Deutsche Bahn Meiningen Steam Locomotive Works in Germany was identified as a suitable supplier. It possessed the required knowledge as mainline steam operation had continued in East Germany until the mid-1980s, 70% of its work still involved steam, and it still possessed the powerful plate roller machines. The trust did not have sufficient funding to place the order until January 2005. On 16 July 2006 the boiler arrived by sea and was unloaded at Darlington with a 200-ton crane, having taken just nine months to build. The fitting of the 21-ton firebox and boiler unit to the wheeled locomotive frame was said to have been a perfect fit, requiring no grinding at all, a tribute to the accuracy of the design and construction by the Meiningen works. The fitting was not without incident though, as the extra weight caused some compaction of the track bed, and assistance was required to move the locomotive back into the works, by a combination of being winched, towed by a forklift truck and pushed with Land Rovers. The motion components cost £150,000: taking £50,000 to forge (and requiring three years to complete) and £100,000 to machine. The wheelset was the first mainline steam locomotive wheelset to be manufactured in Britain since 1960, and took five years, involved nine suppliers and cost £100,000, even with generous sponsorship. The wheels were so smooth that the complete locomotive could easily be pushed out of the works by human power alone, as seen when the locomotive was moved outside in preparation for the first steam-powered moves. If the locomotive were to be suspended, the entire wheel and motion arrangement could be turned by hand. The assembly of Tornado has mostly taken place at the A1 Trust's Darlington Locomotive Works, bringing together components manufactured around the country, and some from overseas. Actual manufacture and construction had started in 1994, before the Darlington works opened, with casting of the cylinders (late 1994) and wheels, cutting of the frames and construction of the cab. The locomotive frames were assembled at Tyseley Locomotive Works, Birmingham, being ceremonially laid there on 5 January 1995, and completed by October 1996. In March 1997, Tornado, as a completed frame and inside cylinder, was displayed in the Great Hall at the NRM for several weeks, transported from Tyseley by an EWS freight wagon. She returned to Tyseley to await completion of the Darlington works. The elements of Tornado were brought together with the opening of Darlington Locomotive Works in 1997, and the opening ceremony saw the unveiled locomotive, now consisting of the frame with its three cylinders and cab attached. Spring 1998 saw the smokebox construction started and the tyres fitted, and by 1999 forging of the motion components had started, with the first delivery of components commencing in January 2000. By September 1999, the last wheel had been pressed onto the wheelset, which was delivered to Darlington by July 2000. By January 2000, the front bogie had been assembled. With the fitting of these parts, the mounting of the frame onto the wheelset, and fitting of the smokebox, by the end of 2000, the most visible missing parts of Tornado were the boiler and tender. Post-2000, assembly and setting of the motion proceeded, and attention turned to the design of the boiler; a £250,000 appeal was launched. Tornado became a rolling chassis by October 2002, and achieved the first synchronous movement of the motion and all wheels in August 2004. 2005 saw construction of the boiler in Germany, with construction begun on 16 October, and completed in time for delivery on 16 July 2006. By June 2007 Tornado's internal construction was sufficiently complete to allow fitting of the boiler to the frame, using a 100-ton crane. The most complex casting, the superheater header, was started in 2007, and after defeating two foundries the complex shape was cast by a third supplier. Owing to space constraints at Darlington works, the Tornado tender frames and body were built off-site, with the body being significantly built locally in Darlington. The tender wheelsets were assembled by an East Lancs Railway-based company. The tender frame and wheelset were united by December 2007, and the tank attached to it by February 2008. A computer simulation was used to assist in the setting up of the valves and motion. The boiler safety valves were tested on LNER Class A4 60009 Union of South Africa at the Severn Valley Railway before their delivery to Meiningen for fitting to the boiler. On 10 July 2006, the boiler was hydraulically tested at the manufacturer's factory at one-and-a-half times working pressure and was passed safe. On 11 January 2008 the boiler passed its first steam test, in tests carried out by an external boiler inspector. The boiler was noted by the inspector to be a very rapid boiler, boding well for use on the main line. As also noted by the inspector, being brand new Tornado's boiler exhibited no leaks of any kind during the test, in contrast to heritage restorations. For the test, the fire was lit and the boiler was allowed to warm up over 48 hours before being then taken up to 260 psi (1,800 kPa), just over the maximum working pressure. During the test, the boiler safety valves were set to the correct pressure. At that time the tender body was not yet finished, so the test was conducted using a water bowser. The boiler was creating steam so efficiently that the water supply was being used faster than it could be replenished by the mains water supply to the works. In order to complete the test and not prematurely damp down the fire, an emergency call for water was made to the local fire brigade, who responded with a fire tender to supply more water. This was sensationally but inaccurately reported in one local newspaper as "fire brigade called to prevent boiler explosion". Low speed trials of Tornado as a live steam locomotive first occurred on the 500-foot (150 m) long Darlington works track. After a series of private tests in the days beforehand, in which Tornado made her first in-steam moves on 29 July, Tornado was launched on 1 August 2008, moving up and down the test siding in front of the press. The 1 August launch was timely, as it coincided with the 40th anniversary of the end of steam on British Railways, on 4 August 1968, and with the 60th anniversary of the entry into traffic of No. 60114 W.P. Allen, the first Peppercorn A1 class locomotive. From Darlington works, Tornado was moved by road on two articulated lorries to the 60 miles per hour (97 km/h) preserved Great Central Railway, where she would perform mileage accumulation and testing, before hauling her first passenger trains. 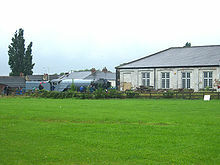 After being transported to the GCR on 19 August 2008, Tornado was unloaded at Quorn and Woodhouse station the following day, and towed to the GCR Loughborough shed. Tornado performed her first non-stop mile run at the GCR on 21 August, and hauled her first empty trains on 22 August. For the GCR's Day out with Thomas event on an August bank holiday weekend (23–25 August 2008), Tornado wore a small Thomas face for light runs during those three said days. It was anticipated that Tornado would need around 2,000 miles (3,200 km) of running to bed in, before moving to the main line proper. Following HM Railway Inspectorate (HMRI) approval, 60 mph (97 km/h) running was achieved by the end of September 2008. Prior to mid-October 2008, Tornado had achieved 1,000 miles (1,600 km) of fault-free running. By the end of October, Tornado had run 1,500 miles (2,400 km). While at the GCR, Tornado hauled empty passenger trains at speeds up to 60 mph (97 km/h), and load test trains of up to around 500 tons. One load test in September involved the hauling of a rake of 11 empty coaches and a dead Class 45 diesel locomotive. Also in one load test, over 2,000edhp (Effective Drawbar Horsepower) was recorded. On 10 September Tornado was officially timed for the first time, hauling 518 tons up the 1-in-176 gradient south from Rothley railway station. According to the preserved railway's president, Tornado achieved a "smooth debut" while at the GCR. Tornado was also described as having performed in the testing and passenger runs "effortlessly" and "faultlessly". On 21 October 2008, Tornado arrived at the National Rail Museum in York, and was first put on display in the Great Hall for a few days, where she was given pride of place on the NRM turntable for the annual railway industry dinner on 23 October 2008. Tornado then remained operationally based at the NRM behind the scenes, for final preparations and testing on the main line, reaching speeds of up to 75 mph (121 km/h), before an expected main line debut in February 2009. The acceptance testing based at York would be conducted by EWS. Three test runs on the main line were planned, for 4, 6 and 18 November 2008, involving out and back journeys departing from York in the evenings. The first would be to Scarborough. Two further runs would take place to Barrow Hill, Chesterfield, and to Newcastle. The Scarborough run would be a round trip of 84 miles (135 km) with a support coach only. The Barrow Hill run would see Tornado haul a 500-ton load, consisting of a rake of 12 coaches and a Class 67 diesel locomotive, at up to 60 mph (97 km/h), on a 142-mile (229 km) round trip. The Newcastle run would be a 176-mile (283 km) round trip at up to 75 mph (121 km/h), with a rake of empty coaches. The first test run was carried out successfully on 4 November 2008 "with no discernible problems". The second test ran successfully on 6 November. The morning of 19 November 2008 marked the successful completion of the third and final test run. Following the completion of the mainline test runs, Tornado entered the NRM paintshop to receive her first proper livery, and was unveiled in a launch ceremony on 13 December 2008. After some brief further work behind the scenes, Tornado returned to the NRM turntable on 22 December and was displayed there over the Christmas period until 11 January 2009, whereupon she was moved back into the workshops to undergo preparation for her main line passenger debut. A further test run was announced, the first in her green livery, with a run for Tornado and support coach from York to Leeds and back, to be run on 28 January 2009, in preparation for the inaugural main line passenger trains. This run was duly completed, allowing passenger trains to begin. While Tornado was based at the NRM, on 21 January 2009 a £250,000 funding appeal, Save Our Scotsman, was launched for completion of the restoration of LNER Class A3 4472 Flying Scotsman, a long-term resident of the NRM workshops since being taken out of service for overhaul in December 2005. Inevitable comparisons were drawn with the Tornado project, with it being highlighted that as of the end of 2008 the cost to the NRM since 2004 of restoring Flying Scotsman (£2.2m purchasing and £742,000 overhauling) was almost the exact cost of building Tornado from scratch. In particular, as of January 2008, the believed cost of £800,000 for Tornado's brand new boiler from Germany was less than the latest NRM budget of £850,000 for restoring Flying Scotsman's A3 boiler, which had risen from earlier estimates due to the boiler's poor condition and the rising cost of copper. As a new build locomotive, certification is more complex than for a restoration, and requires liaison with Network Rail, HMRI and a vehicle acceptance body (VAB), with the origin of all construction materials needing to be documented and every aspect of the manufacture recorded. Following manufacture, a technical file and Notified Body certificate will be obtained on completion of a manufacturing and maintenance procedures review. Tornado is required to pass the 2006 European Interoperability of the conventional rail system Directive, achieved through compliance with the National Notified Technical Rules (formerly the Railway Group Standards). Certification of Tornado is being managed by the trust's UK Notified Body, DeltaRail Group Ltd. Tornado is exempted from portions of the regulations, as are many mainline steam locomotives, such as from the need for a yellow warning panel, or crumple zones. In liaison with Network Rail, a route acceptance strategy will be agreed. Approval for Tornado to enter service will be granted by the Office of Rail Regulation (ORR). This will be in two stages, approval under the Railway and Other Transport Systems regulations, for use on the Great Central Railway (GCR) and other preserved lines, and then as an "interoperable" locomotive for use on the British main line network. Testing of the On-Train Monitoring Recorder (OTMR), Train Protection & Warning System (TPWS), Automatic Warning System (AWS), and air brakes was done at the GCR. 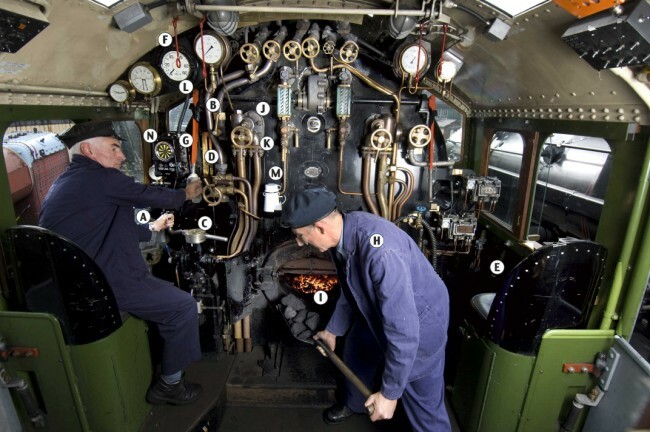 These tests are standard for all steam locomotives requiring certification for main line running. Regulator position and locomotive speed are both recorded by the on-train recording equipment, stored under the driver's seat. As well as standard tests, as technically a new design of locomotive, Tornado was required to undergo specific extra tests to examine ride quality and track force, to assess the effect the locomotive would have on the main line track. The details of these tests are laid down by the Network Rail Safety Review Panel. It was agreed in advance between the trust and the authorities that these could be done in part at the GCR. Accordingly, on 25 September 2008, the tests were performed by running Tornado through the Kinchley Curve at speeds of 10, 20, 30, 40, 50 and 60 mph (97 km/h), with a trailing saloon car fitted with monitoring equipment, including a Global Positioning System (GPS) unit to measure the precise speed and distance travelled every metre. Measurements were taken on board by 21 sensors attached to the locomotive, measuring pitch and roll, and acceleration and deceleration. Measurements were also taken through the use of track-side sensors measuring side forces exerted on the track, augmented with freeze-frame footage of the position of the wheels as they passed. The results were compared with control readings taken at the same site using Oliver Cromwell, two weeks later. The preliminary results were described as producing "no untoward signals". Tornado LED cluster lamps in reversing aspect. Note the "A1" buffer beam mark. Tornado was granted an Engineering Acceptance (EA) certificate on 31 October by DeltaRail and a Route Acceptance certificate on 3 November by Network Rail, allowing testing on the main line to begin. Further tests were performed at Network Rail facilities located between York and Darlington, at a testing facility known as a wheelchex. This consists of track fitted with sensors to measure vertical force effects such as hammer blow. Completion of a test run between York and Leeds on 28 January 2009 signalled the gaining of certification to haul passengers on the Network Rail main line. In January 2009, the railway press reported that a discrepancy had emerged in the 18 November 2008 75 mph (121 km/h) test, whereby the OTMR recording equipment on the Class 67 being towed had recorded a top speed of around 100 mph (160 km/h), while the A1 data recorder measured speeds "nearer the 75 mph (121 km/h)" mark. It was stated that while a 10% overspeed is allowed (and may be required) in such new equipment test runs (A4 Class 4464 Bittern reached 83 mph (134 km/h) in 2007), Tornado had not been planned or authorised to do so on this test. It was suggested that the discrepancy might have been down to the equipment on the Class 67 having had its gearing altered but not having been recalibrated. After leaving the GCR, it is intended that Tornado will, as much as possible, not be transported by road; therefore she will only see service on the main line, or on heritage lines with a main line connection. Exceptions have been made to this: the locomotive revisited the GCR in spring 2010, and was to have been transported by road to the Bluebell Railway in August 2010. Tornado will be put onto a low loader again to be transported back to Darlington for overhaul, after five years' service. It was expected that the first phase of main line operational running would be limited to trips of 200 to 250 miles (400 km). The expanded water capacity of the tender allows legs of over 100 miles (160 km) between water stops, 25 miles (40 km) further than the original Peppercorn A1s. To assist in passenger operation, in 2008 the Trust purchased their own support coach, a British Railways Mark 1 Brake Composite Corridor type, No. 21249, which entered traffic in June 2013. Tornado has a route availability of 9. Following the gaining of HMRI approval the previous week, Tornado made her passenger train debut on 21 September 2008 at the GCR. The inaugural train was formed of a rake of eight carriages, formed (from the front) of three "blood and custard" liveried coaches, four green liveried coaches, and a special rear coach. This rear coach was a restored LNER beavertail observation car. This train departed at 10.15 am from Quorn and Woodhouse station, and ran non-stop to Leicester North station, back to Loughborough, and then to Quorn. Five trains in all ran on this first day, with all special services being restricted to those involved with the Trust, with Tornado running around in a non-platform passing loop at Loughborough Central. On this day, 1,000–2,000 covenantors, donors and guests travelled on the service. The first public trains for fare-paying passengers began the next day on 22 September 2008, limited to the normal line speed. On this day, over 1,000 passengers were carried on the three sold-out trips. While at the GCR for the first time, Tornado also took part in the 125th anniversary of the Boys' Brigade wearing a special headboard on 4 October 2008, and hauled the preserved GCR Travelling Post Office rake. The last passenger operation at the GCR was on Sunday 12 October 2008, the culmination of a three-day gala weekend event. Tornado operated over the weekend alongside Leander, Oliver Cromwell and Lord Nelson, which was to have an "end of steam" theme. The first announced heritage event for Tornado was an appearance at the 2009 Spring gala at the North Yorkshire Moors Railway, 1–10 May. In August 2010, Tornado was to have visited the Bluebell Railway for its 50th anniversary of operation celebrations. The A1SLT had a preference for moving the engine to Sheffield Park by rail due to issues with the trailing truck potentially becoming damaged if the locomotive was transported by low-loader, but they would have been willing to move the engine by road if the Bluebell's extension was not completed in time for Tornado to visit, which it wasn't. However, repairs proved to be more extensive than previously thought, and the decision was made to withdraw the engine from the gala. However, in March 2013, the Bluebell Railway's extension was completed. Thus, Tornado in September 2013 hauled the first steam hauled railtour from London to Sheffield Park since 1963. Tornado completed her first passenger trip on Network Rail East Coast main line on 31 January 2009, a return trip from York to Newcastle, via Darlington and Durham. As with the trains at the GCR, the first two official passenger trips on the main line were to be for covenanters only. These trips were provisionally announced as two specials from York to Newcastle and back, making one trip on 31 January 2009, with the same trip repeated the next day. This would see Tornado repeating the route of the last tour hauled by the last surviving original Peppercorn A1, 60145 St Mungo, 42 years earlier. These trains were announced as The Peppercorn Pioneers on 18 January 2009. The first train would be carrying 500 passengers in a rake of 13 carriages. On 23 January, on advice from the British Transport Police and Network Rail, due to concerns over crowd safety at Newcastle station due to the 1 February Tyne-Wear football derby match between Newcastle United F.C. and Sunderland A.F.C., the second Peppercorn Pioneer was re-arranged into a return trip from Doncaster to Durham, with Tornado hauling the train for the outbound leg and part of the return leg. Tornado's first publicly available train, and also her first trip to London, was hauling an A1 Trust Talisman railtour on 7 February 2009 from Darlington to King's Cross. Tornado's first trains out of London were two Valentine's Day Cathedrals Express excursions from London Victoria on 14 February 2009, a lunch tour and a dinner tour. The lunch tour was later modified to leave from London Waterloo station, making Waterloo as Tornado's first London departure point. Tornado's first Pullman class train was expected to be a Yorkshire Pullman on 26 February 2009, hauling the British Venice-Simplon Orient Express (VSOE) coaching stock from King's Cross to York. This was later postponed to 18 April 2009. The new date also saw Tornado scheduled to run a return journey back to King's Cross on the same day. This was still expected to be Tornado's first passenger departure from King's Cross. Tornado's first trip to Scotland was The Auld Reekie Express on 28 February 2009, with steam traction one way from York to Edinburgh. With Following Saturday 7 March making her first journey from Scotland. As of January 2009, the Trust planned to run their own excursions with Tornado over the Settle-Carlisle Line on 3 October 2009 and 4 October 2009. On 21 December 2009, Tornado rescued about 100 people who were stranded by bad weather at London Victoria station. On that day, a number of electric trains, which picked up their power from the third rail, were unable to run because of snow and ice on the line. Tornado was to haul a Cathedrals Express lunchtime special service from Victoria; a number of booked passengers had been unable to get there due to the conditions, and so there were spare seats; the train's operators decided to offer these seats to commuters whose trains had been cancelled. Tornado also had an evening Cathedrals Express dining train, and the same offer was again made. In February 2017, Tornado was used by Northern Rail on scheduled public timetabled services between Appleby and Skipton prior to the reopening of the Settle–Carlisle line, which had been closed for a year because of a landslip. In 2004, approval was sought for 90 mph (140 km/h) running, however this has not yet been given. If approved at some time in the future it would make Tornado the fastest present-day steam locomotive in Britain. This approach is required to run at speeds comparable to contemporary rail traffic, and involves full certification of Tornado. While older preserved steam locomotives are subject to speed restrictions due to age, approval for 90 mph running is possible for Tornado due to her new condition. Like her predecessors, the original Peppercorn A1 class, Tornado could easily reach 100 mph (160 km/h). In January 2009, after having gained approval for running at 75 mph (121 km/h), "active discussion" was said to be taking place about testing Tornado to "a higher speed". This led to a successful 100 mph (160 km/h) test run, see below. Following this test, it is possible that Tornado will achieve certification to be allowed to run at 90 mph (140 km/h) on the main line. If 90 mph (140 km/h) running is achieved, Tornado would also become the second fastest operational steam locomotive in the world. Regular 90 mph (140 km/h) steam operation was last seen in Britain in 1967 with the Merchant Navy class Pacific locomotives operating on the Waterloo to Bournemouth route. The fastest operational steam locomotive in the world is Deutsche Reichsbahn 18.201, allowed to run in Germany up to 180 km/h (110 mph). While Tornado is currently limited to 75 mph (121 km/h) on the UK main line, there is a possibility that the locomotive could also travel at higher speeds if transported to Germany. If it was towed through the Channel Tunnel, according to the Trust, Deutsche Bahn had previously informed the Trust that Tornado would be allowed to run "as fast as [they] like". In the early hours of 12 April 2017, on a test run on the East Coast Main Line, Tornado became the first steam locomotive since 1967 to run at 100 miles per hour (160 km/h) on the line. The last steam train to officially travel at 100 mph on the UK mainline network was in 1968. Tornado was built by the Locomotive Construction Co Ltd, a wholly owned subsidiary of the A1 Steam Locomotive Trust. At 1990s prices, the projected cost of the project was £1.6 million. The trust has used Deeds of Covenant since the start of the project in 1990, marketed under the slogan "Build a main line loco for the price of a pint of beer a week!" Covenantors can wear a special A1 Trust tie and pay a fixed amount monthly by standing order, and for this they receive honour roll recognition, event and viewing priority, regular trust publications and the right to attend the annual conventions. In September 1996, the concept of dedicated covenants was launched. Now renamed dedicated donations, these were one-off payments of £25 to £25,000 to sponsor a particular part. As with regular covenantors, dedicated donors receive recognition, and an engineering drawing of the component they sponsored. In October 1999 a £250,000 appeal was launched to fund the boiler, whose absence was noticeable with Tornado then comprising a wheeled frame with completed cab and smokebox. As Tornado began to look like a locomotive with the mating of the frame with the wheelset in the autumn of 2000, fundraising progress increased, breaking previous records by recruiting 100 new covenantors in two months. By 2005, the trust had raised over £1.5m. Completion of the boiler was achieved through a half million pound bond issue. Following securing of the boiler funds, the last major part, the tender, was achieved with a £200,000 single sponsor donation. By May 2008, £2.5m had been raised and spent, and the gap to the required £3m had been raised to complete Tornado However, due to the Chinese economic boom causing raw materials cost increases, together with increased certification costs, a further £50,000 appeal had to be launched if main line running was to be achieved by September. By the end of September 2008, the Trust still needed to raise £66,000 to pay for tests and trials to allow main line operation. While at the GCR, the project costs were running at the rate of £10,000 a month, rising to "six-figure bills" for certification in the months up to January 2009. Launched in 2004, the Trust's half million pound bond issue offered 4% returns, but in January 2009 £100,000 worth of these bonds remained unsubscribed. In 1994 the A1 trust gained its first major sponsor, a major steel company.[which?] In 1997, Great North Eastern Railway (GNER), the then operator on the East Coast Main Line, became a sponsor, and decorated Darlington station for the event, as well as offering free travel for trust workers. The trust gained Rolls-Royce as a sponsor in spring 1998. The trust's principal sponsor is a metal casting company, which initially cast the driving wheels on "very advantageous terms", and later assisted with all the wheels and almost all other steel castings. As with GNER, Tornado's links to the East Coast Main Line brought with it support from the next incumbent operator, National Express East Coast, with sponsorship of the third main line test run to Newcastle. Significant savings were made through industrial sponsorship; by 1998 this was keeping costs at 40% of normal. Some components, such as the smokebox door, were even obtained free of charge. Cost savings of a third of the original manufacturing costs were possible in some cases where the building of one locomotive allowed for cheaper construction methods, such as using one-off polystyrene casting patterns. Several other events and fund-raising drives have assisted in funding the project, including a Land's End to John O'Groats bike ride. The Trust also received proceeds from the sale of limited edition models of Tornado in works grey livery. To help recoup the cost of the project and service the debt, once operational Tornado would take over haulage duties on the Trust’s own Talisman railtours, and be offered for hire to heritage railways and other railtour and charter train operators. Whilst at heritage railways, the Trust would also offer driver experiences at the controls of Tornado. A new book on the story of Tornado called Tornado 21st Century Steam, written by The Guardian's Jonathan Glancey, was released on 15 October 2010. A BBC film crew filmed the project at certain points on the journey, up to and including the arrival and operation of Tornado running at the GCR. The resulting film was used to make a 30-minute documentary film, Absolutely Chuffed: The Men Who Built a Steam Engine. It was first broadcast on BBC Four on 16 October 2008, as part of their Golden Age of Steam season. The film was released on region 2 DVD on 28 December 2009 with unseen material and DVD extras. Tornado and the Tornado project was also partly featured in the BBC Four documentary episode The Last Days of Steam (series 8 of the Time Shift documentaries), and also on How Do They Do It? (channel Five version, season 3 episode 3). The project also featured on BBC 2's magazine programme Working Lunch broadcast on 3 December 2007. On 25 April 2009, Tornado hauled a 10-coach Cathedrals Express charter from London King's Cross to Edinburgh Waverley. This private train was filmed by the BBC for a retro Top Gear Race, in which Jeremy Clarkson on the train raced James May in a Jaguar XK120 and Richard Hammond on a Vincent Black Shadow motorbike. Tornado was booked to complete the 390.2-mile (628.0 km) journey in 8 hours 2 minutes, without any passenger stops at stations, but with four water stops en route at Grantham, York, Tyne Yard and Berwick, totalling 95 minutes booked stoppage time. Because motorways didnt exist in 1949 (the first not being built until 1959) May and Hammond were restricted to using A-roads. In a close finish, Tornado came second behind the Jaguar, with a difference of only about ten minutes between them. The train was formed from the maroon support coach and a uniform rake of nine Royal Scot blood and custard coaches. The race featured in the first episode of the show's 13th series, airing on 21 June 2009. 60163 Tornado, as well as LMS Hughes Crab no. 13065, appeared in the 2018 film, Paddington 2. A "very limited edition" customised model from The Model Centre (TMC), based on the Bachmann OO scale model in grey livery helped raise funds for the project. Another grey works Tornado was to be made by TMC but with National Express on her tender from her 18 November mainline test run. Bachmann released a Tornado model in BR Apple Green livery just before Christmas 2009. Unlike the TMC models, which featured a standard Bachmann A1 repainted in Tornado's then grey livery, and unlike the original Bachmann limited edition model of Tornado which had the locomotive in BR Brunswick Green livery with the late BR crest, the 2009 release was a new model, with most (though not all) of the detail differences applied. This is particularly evident on the tender, which features the enlarged water capacity and reduced coal storage of Tornado as compared to the original A1 locomotives. The model proved extremely popular, to the extent that 10 weeks after going on sale Bachmann stocks were exhausted and more models had to be ordered. Since 2011, Hornby Railways have produced a model of Tornado in 00 gauge. Graham Farish have produced a model in N scale. For their 2013/2014 range, Bachmann released an Express Passenger Blue model of Tornado which is a standard repaint and slightly modified Peppercorn A1. Darstaed Models are to manufacture an O scale model of Tornado using tinplate. The model will feature traditional three rail electric pick up. Accucraft (UK) make a live steam model of Tornado in gauge 1. ^ a b "Presentation 'Tornado – the first 6 months of operation'". Events, Technical Lecture, 18 February 2009. IMechE. Retrieved 22 November 2008. This lecture will cover the history of the Peppercorn Class A1s, the design and manufacturing of the 50th A1 Tornado and its first 6 months of operation in main line service. ^ a b "£300,000 in grants awarded". News archive. A1 Steam Locomotive Trust. 1996. Retrieved 22 November 2008. Tornado will be a completely new steam locomotive, built from the original 1940s drawings and is therefore neither a restoration project nor a replica, but the next in the original series, the 50th Peppercorn Class A1. ^ a b c d "Tornado unveiled at York (video)". Railway Herald website, Video Section. Archived from the original on 29 January 2009. Retrieved 31 January 2009. ^ "National Express sponsors final test train on main line for new £3m steam locomotive Tornado". A1steam.com. 18 November 2008. Retrieved 8 October 2009. ^ "Royal couple name new steam train, 19 February 2009". BBC News. Retrieved 20 February 2009. ^ a b "New steam loco ready for service". BBC News. 19 November 2008. Retrieved 19 November 2008. [Tornado] is ready for service after successfully completing all its trial runs. Tornado completed its third and final test run between York and Newcastle. ^ "Public unveiling for steam train". BBC News. 13 December 2008. Retrieved 13 December 2008. She was unveiled in apple green, the colour carried by the first 30 Peppercorn class A1s. ^ "BBC News - Steam train's snow rescue 'glory'". ^ "The Tornado Telegraph January 2011" (PDF). A1 Steam Locomotive Trust. 2011. Retrieved 17 April 2011. ^ Logan, Helen (24 September 2007). "Tornado team steams into future with new locomotive". nebusiness. Retrieved 18 November 2008. "A steam locomotive boiler built nowadays has to comply with the Pressure Equipment Directive," Mr Boyle explains. ^ "Tornado update - 24th July 2010". ^ a b c d John Ingham (29 January 2009). "A blast from the past as new Tornado puffs back". Daily Express. Retrieved 29 January 2009. ...took to the main railway line yesterday...first test run on a main line since getting her new apple green livery...four-hour round trip from York’s National Railway Museum to Leeds...now set to take her first paying passengers when she pulls out of York for the return trip to Newcastle on Saturday at 12.07 carrying 500 passengers in 13 carriages each way...[Trust Chairman] Mark Allatt, said: "Today means we have completed our mission. We have got the certification to pull passengers. It is a fantastic feeling. "...tender's water capacity has been increased from 5,000 gallons to 6,200 gallons, giving her a range of more than 100 miles between refills. ^ a b Carole Green (23 January 2009). "Save our Scotsman". BBC North Yorkshire Local history. BBC. Retrieved 29 January 2009. ^ "All Aboard For Tornado's Debut". Sky News. 31 January 2009. Retrieved 31 January 2009. Tornado made a successful test run on Wednesday and was given the go-ahead to haul a passenger train on the Network Rail main line. ^ Despite Tornado being booked to attend the Bluebell Silver Jubilee, the decision was made not to attend due to the risk of damaging the locomotive's trailing truck. The Bluebell does not yet have its mainline connection, which was scheduled to open in 2013 with the completion of the Northern Extension from Kingscote to East Grinstead (Bluebell Rly). ^ "50th Anniversary Events". Bluebell Railway. Retrieved 26 July 2014. ^ a b c "Where to travel". Travel with Tornado. A1 Steam Locomotive Trust. n.d. Retrieved 22 November 2008. The locomotive will operate her first tours exclusively for our covenantors who have paid for the locomotive on Saturday 31 January and Sunday 1 February 2009. On each day Tornado will haul a train between York and Newcastle replicating the final tour of the last original class A1 60145 St Mungo 42 years ago. On 7 February the locomotive will venture further onto the East Coast Main Line when Tornado will head for Kings Cross and a date with destiny, and carrying The Talisman headboard, the A1SLT's tour trademark. This tour will first be open to covenantors and then to the wider public. ^ "Changes to Sunday 1st February train 'The Peppercorn Pioneer'". Latest News. A1 Steam Locomotive Trust. 23 January 2009. Retrieved 29 January 2009. The A1 Steam Locomotive Trust has been advised by Network Rail and the British Transport Police that due to significant concerns regarding crowd control at Newcastle Central station on Sunday 1 February, Tornado's second train cannot operate through to Newcastle....alter the destination to be the University City of Durham...will now start from Doncaster with 60163 Tornado hauling the train from there...The return journey will be steam hauled from Durham to York with a modern diesel returning the train to Doncaster. ^ "Valentine's Day Tours – 14th February 2009". Steamdreams.com. n.d. Archived from the original on 9 October 2008. Retrieved 22 November 2008. Valentine's Day brings a very special occasion to the Cathedrals Express as we welcome the brand new A1 locomotive Tornado on its first departure from London. ^ "Steam train's snow rescue 'glory'". BBC News Online. 23 December 2009. Retrieved 23 December 2009. ^ "Steam engine Tornado shows up its electric friends as it races through Kent". Kent Online. KM Group. 21 December 2009. Retrieved 24 December 2009. ^ White, James (24 December 2009). "All aboard the polar express: Steam locomotive takes home passengers stranded by snow-delayed modern trains". The Daily Mail. Retrieved 28 December 2009. ^ Pigott, Nick, ed. (March 2010). "Steam to the rescue as bad weather hits". The Railway Magazine. London: IPC Media. 156 (1307): 6. ISSN 0033-8923. ^ Pidd, Helen (14 February 2017). "Full steam ahead as Tornado engine powers Settle-Carlisle train service". The Guardian. ^ "Steam train hits 100mph on main line for the first time since the 1960s". Metro. Associated Newspapers Ltd. Retrieved 12 April 2017. ^ English, Andrew (13 April 2017). "Tornado warning: we join 100mph steam loco on secret dawn test run". The Telegraph. Telegraph Media Group. Retrieved 14 April 2017. ^ "Tornado A1 Pacific Steam Engine: BBC Absolutely Chuffed – The Men Who Built a Train DVD: Amazon.co.uk: DVD & Blu-ray". Amazon.co.uk. Retrieved 26 July 2014. ^ "Monday 3rd December 2007, segment "Locomotive Gift"". Working Lunch. BBC News. 3 December 2007. Retrieved 22 November 2008. What about giving your loved one some brass nuts or a part for a steam boiler? Rob meets a bunch of enterprising rail enthusiasts who hope you will consider it. ^ "Tornado and Paddington 2 – not the station!". A1 Steam. ^ Gill, Emma. "The Paddington 2 film is coming soon - and you might recognise a familiar landmark". Manchester Evening News. Retrieved 22 January 2018. ^ "Bachmann stock page, accessed 12 March 2010". Bachmann.co.uk. Retrieved 26 July 2014. Glancey, Jonathan (2010). Tornado: 21st Century Steam. Books on Track. ISBN 978-0-9566770-0-6. Townend, Peter (1982). East Coast Pacifics at Work. Ian Allan. ISBN 0-7110-1170-2. Nock, O. S. (1984). British Locomotives of the 20th Century, Volume 2: 1930-1960. Patrick Stephens. Allatt, Mark (18 January – 14 February 2008). "Tornado: countdown to steaming!". Heritage Railway. 107: 24–31. Wikimedia Commons has media related to LNER Peppercorn Class A1 60163 Tornado.